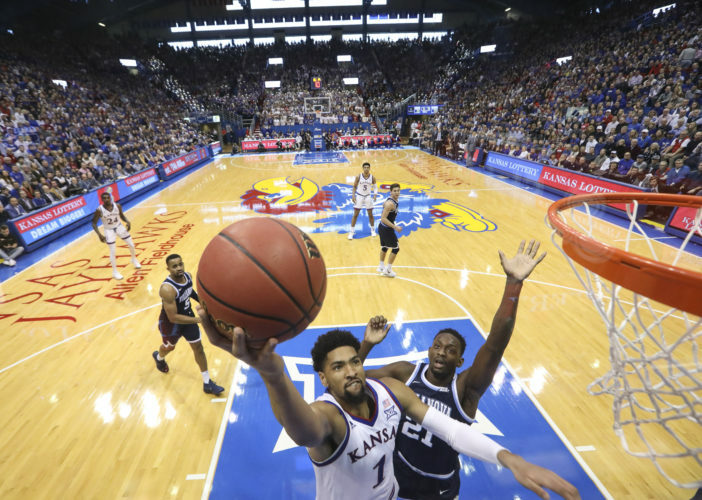 It’s comparison season here at KUsports.com and we have no shortage of former Kansas basketball players to pay attention to this week at the NBA combine in Chicago. As you surely know by now, KU sharp-shooter Svi Mykhailiuk went off on Thursday during his first scrimmage of the combine, knocking in 6 of 9 from 3-point range and leading his team with a game-high 20 points. 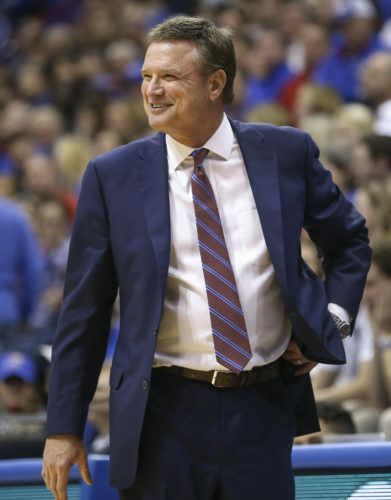 KU assistant coach Norm Roberts said Svi “opened some eyes” with his Thursday performance. And while there are still mock drafts out there that don’t have him being drafted, there also are a few that do. It will be interesting to see what happens with Svi and the draft — June 21 in Brooklyn, N.Y. — and, at this point, it’s anybody’s guess whether his pro basketball future lies in the NBA or in Europe. But couldn’t that be in both places, though? 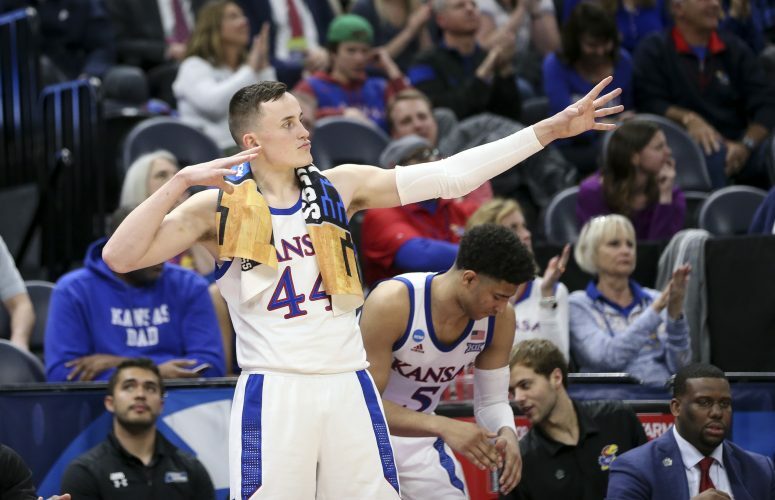 Let’s say that Svi gets drafted and is “stashed” — as the NBA Draft lingo goes — in Europe for a couple of years, with an NBA team retaining his rights while he develops overseas. His native Ukrainian status make him an easy option to send overseas for a while because teams know he could handle the cultural adjustment. Besides, the move is good for both player and team, with the former making a little money — or perhaps even a lot — along the way. Put aside what you know about the player I’m about to mention and just look at the potential similarities. Don’t look at skill set, style of play or, obviously, the career enjoyed by the comparison. Instead, look at how he got there. When you do, I think you’ll see that it’s entirely possible that Svi Mykhailiuk could — again, could — go on to follow the career path of San Antonio Spurs star Manu Ginobili. Way back in 1999, at the age of 22, Ginobili was drafted with the No. 57 pick (of 60) by San Antonio and then promptly spent the first three years of his professional career playing overseas in Italy. Obviously, Ginobili did enough there to catch the eye of the folks in San Antonio and the rest is history. Over his 16-year NBA career, Ginobili won four NBA titles, was named to the All-Star team twice, earned all-NBA honors twice and also was the league’s Sixth Man of the Year in 2008. Even if his career goes as well as he could possibly hope, it’s hard to imagine Svi enjoying a career like that. Those are some incredible accomplishments and Ginobili is almost certain to be inducted into the Hall of Fame someday. Svi’s not there yet. Not even close. But he is on the brink of getting drafted. And if he does it’s looking more and more likely that it will be in the mid-to-late second round. Beyond that, there’s a better-than-good chance that whichever team does draft him also will want to at least explore the idea of the soon-to-be 21-year-old playing a couple of seasons overseas to better develop his game before joining the big league club. A lot of this, of course, depends on which team ultimately drafts him and what that franchise needs at the moment. There’s probably a better comparison for Svi in the NBA. And probably one that doesn’t match him up against a future Hall of Famer. But when you consider the path that Ginobili took to get to that status, it’s not hard to envision Svi’s pro career at least starting in a similar way. Where he takes it from there is up to him. But he would do well to watch plenty of film on Ginobili and soak up as many of the skills and philosophies that made the Argentinian such a sensational player for so many seasons, not to mention a thorn in the side of so many NBA teams and superstars. Evidently, he’s already well on his way.